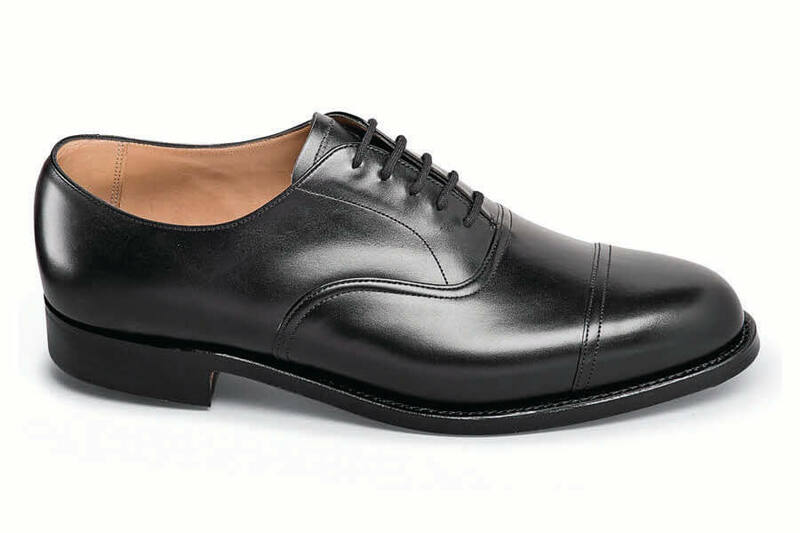 Our black calfskin straight-tip oxford is made by Joseph Cheaney & Sons -- one of the finest shoe factories in England since 1886. It is lined throughout with comfortable, breathable leather. 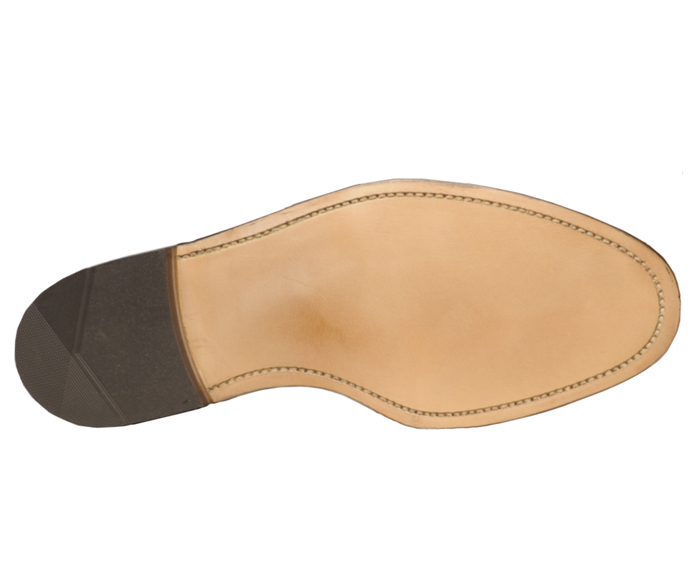 Goodyear welted leather soles wear well but can easily be resoled when the time comes. Durable rubber heels. Deene last. Men's sizes 7–12, 13, 3E, 5E and 6E. A free pair of knit shoe bags comes in the box with every pair.